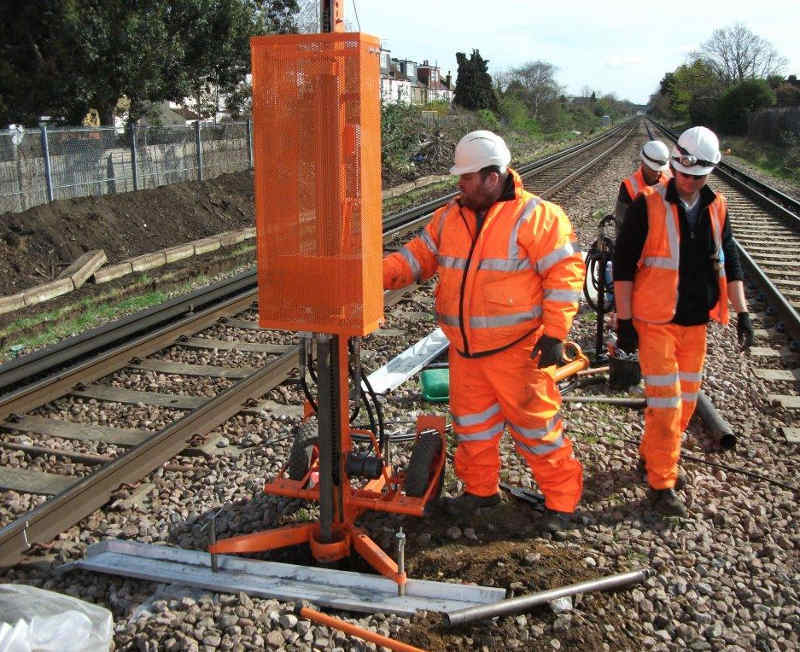 In-situ testing including, CBR & Plate Load Testing, Sand Replacement Density Testing. 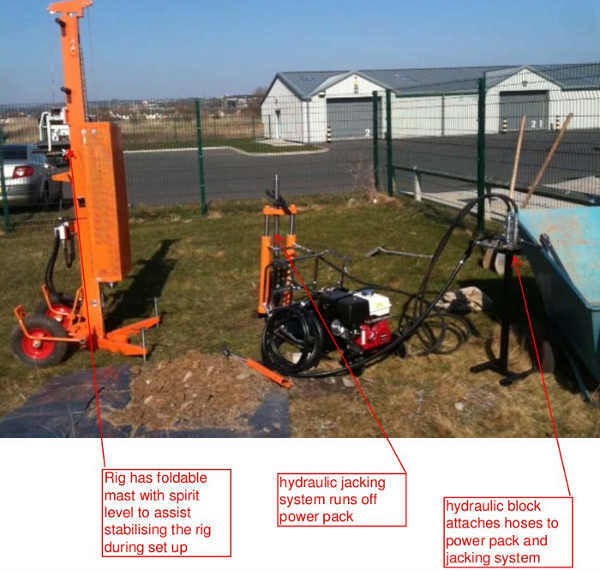 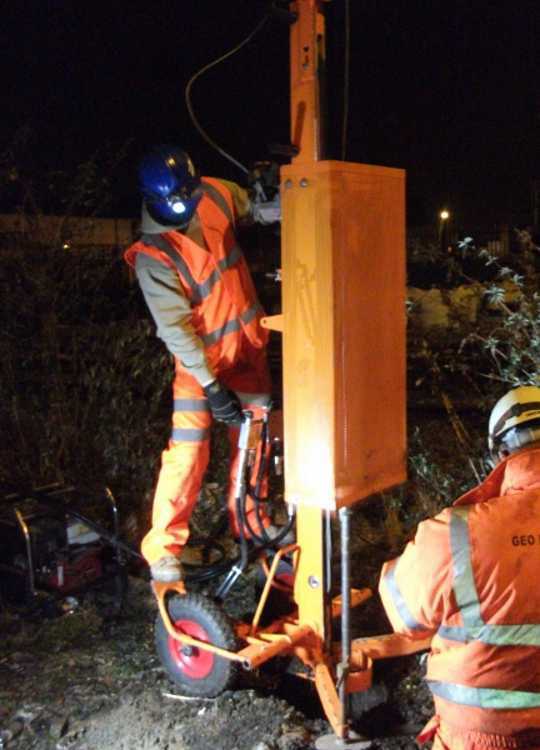 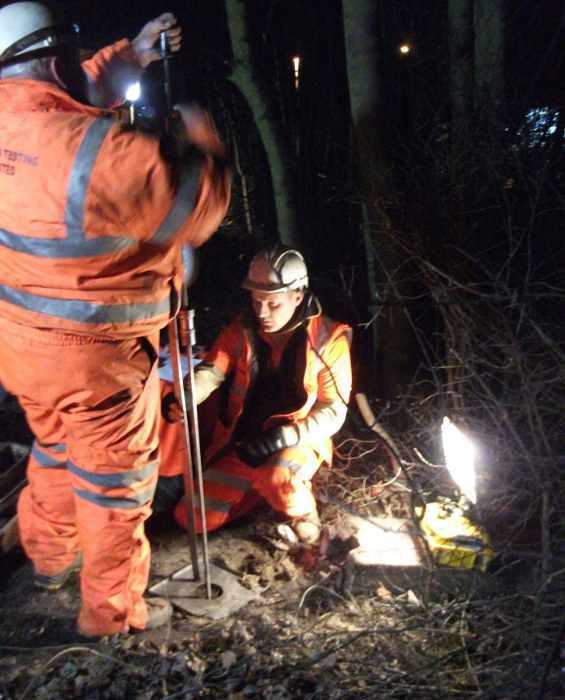 GEO Site & Testing Services Ltd (GSTL) have a team of fully qualified Geotechnical Engineers and drillers who can provide a complete service of geotechnical investigation suited to the railway environment and track side. 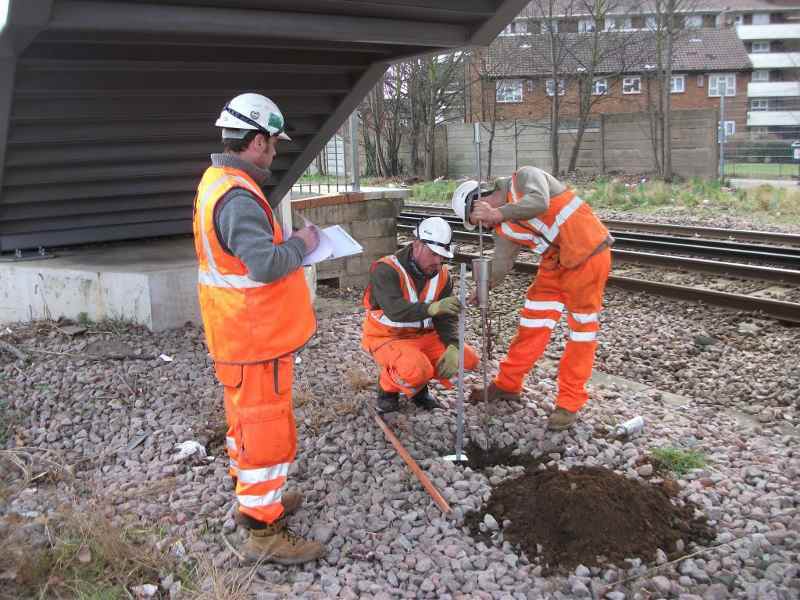 Qualified engineers and drillers are all fully PTS qualified, and also hold First Aid Cards. 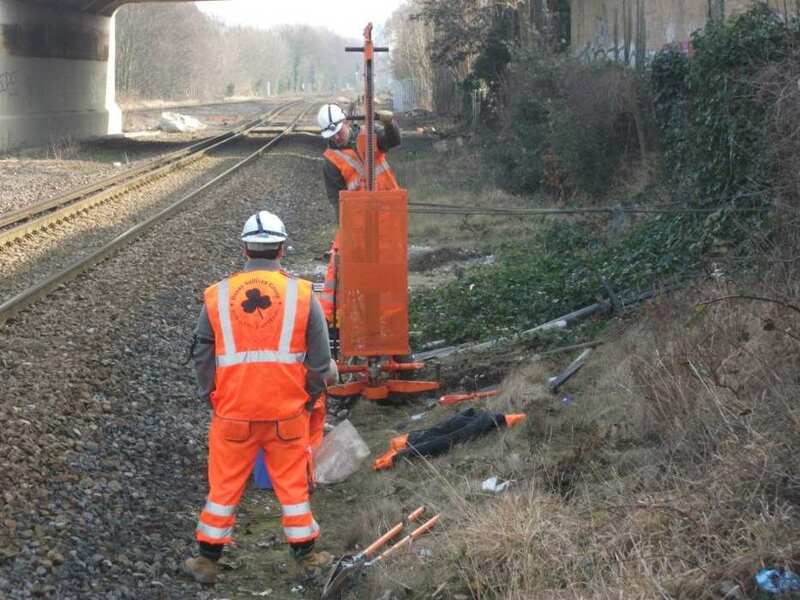 We are able to work all various aspects that are associated with railway sites.